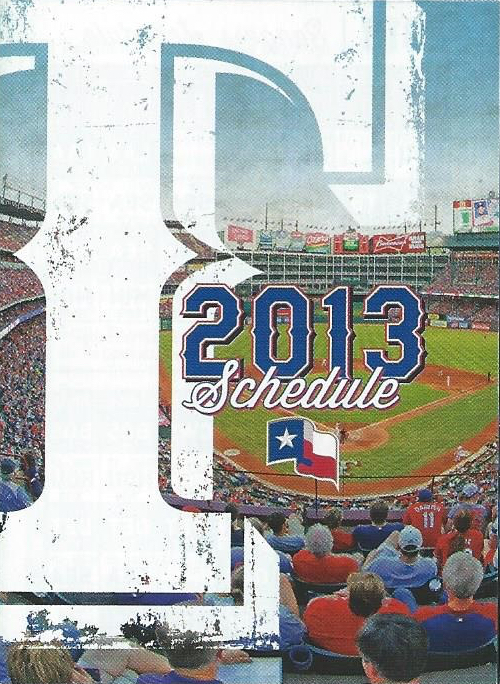 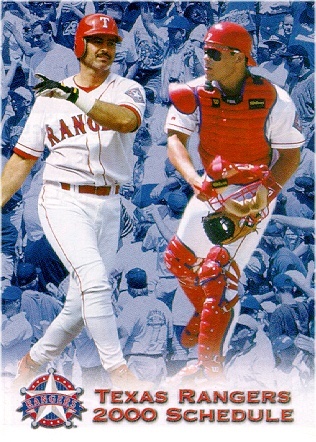 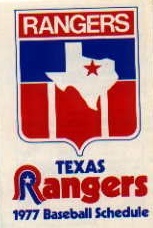 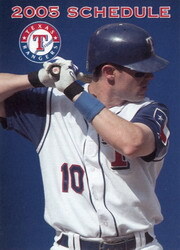 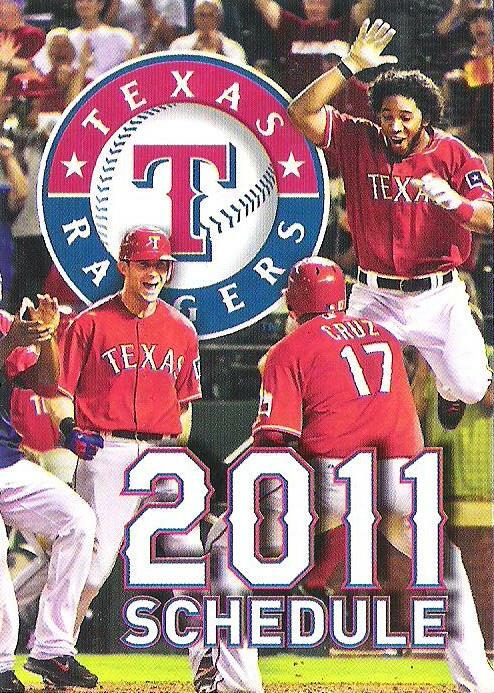 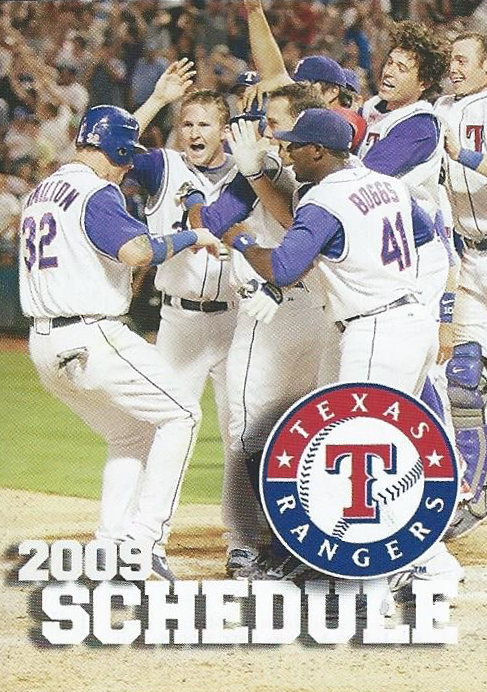 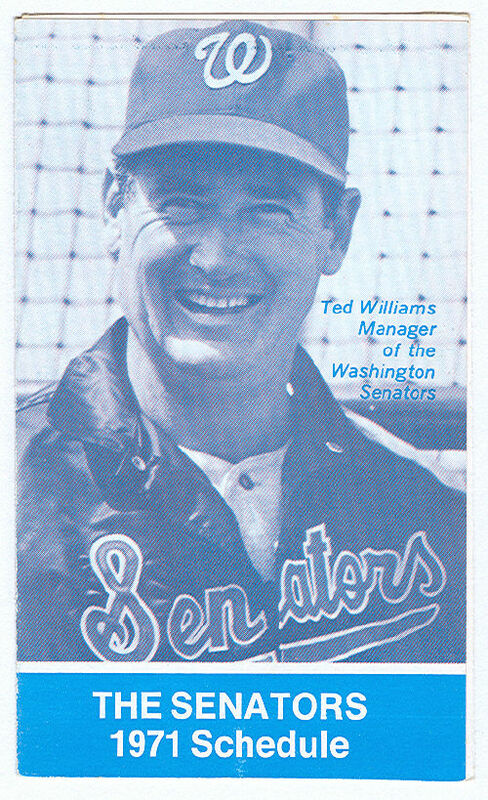 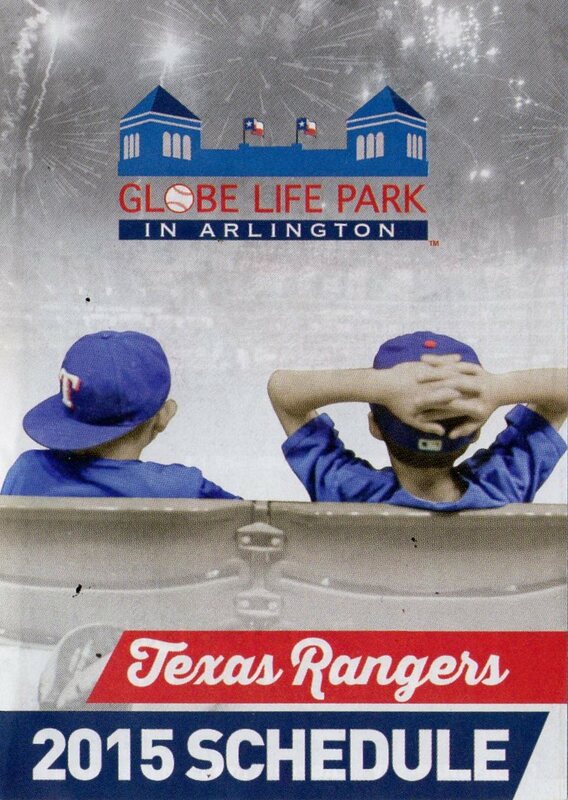 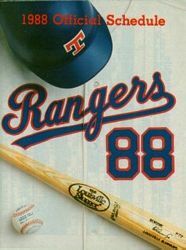 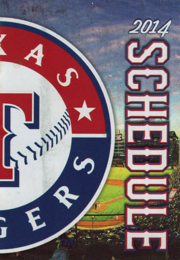 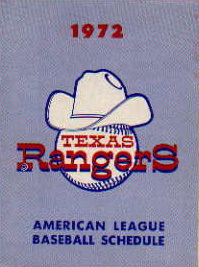 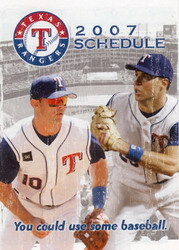 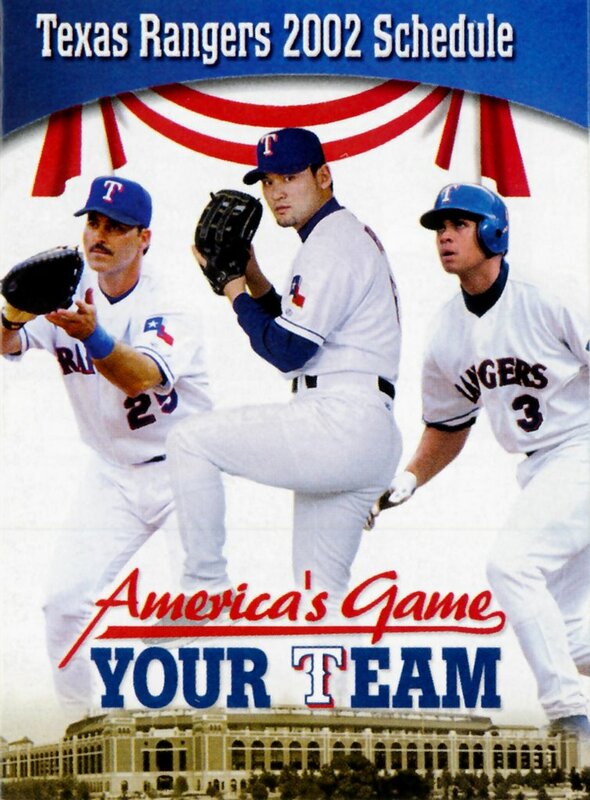 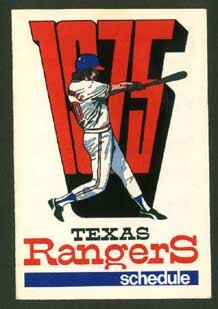 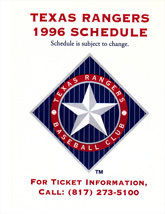 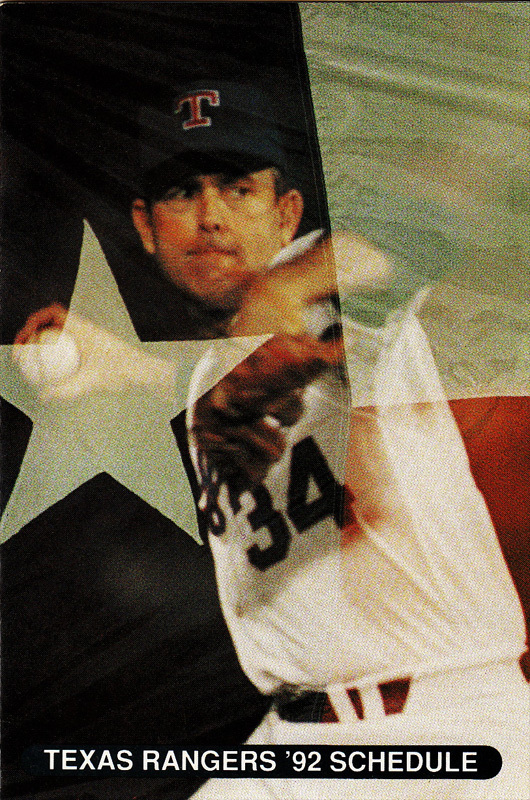 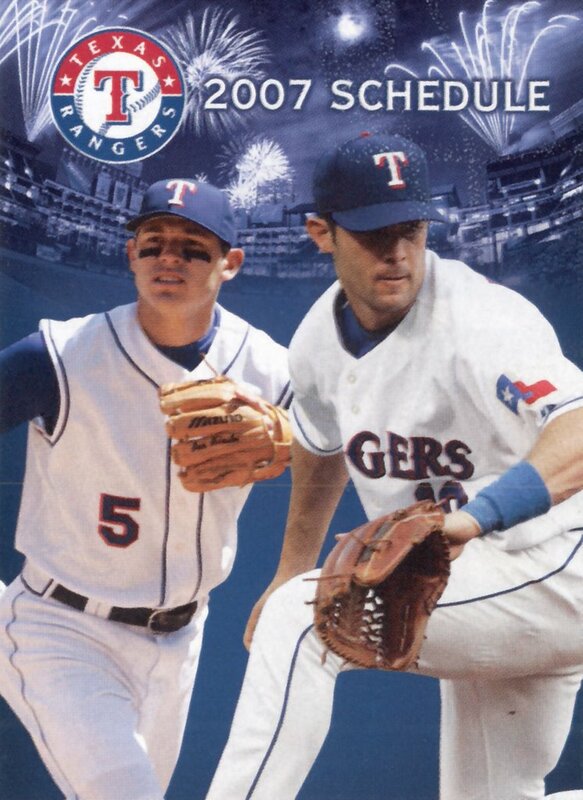 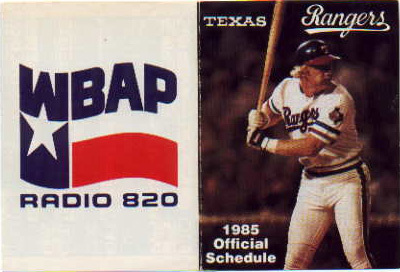 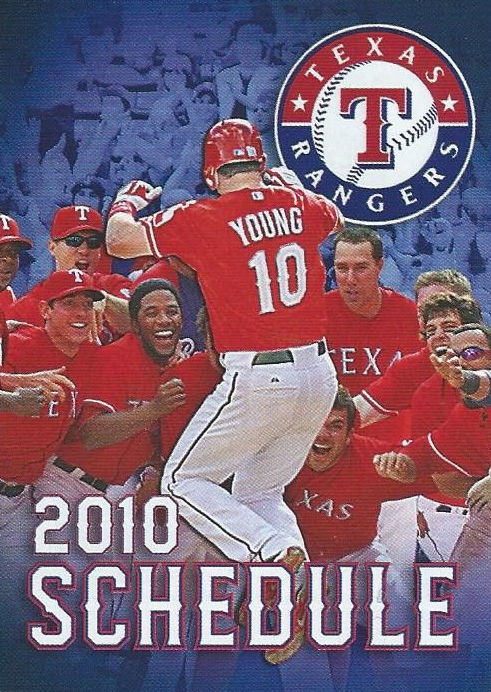 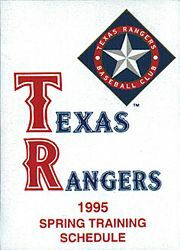 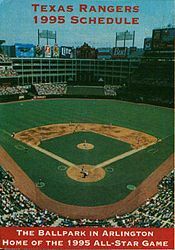 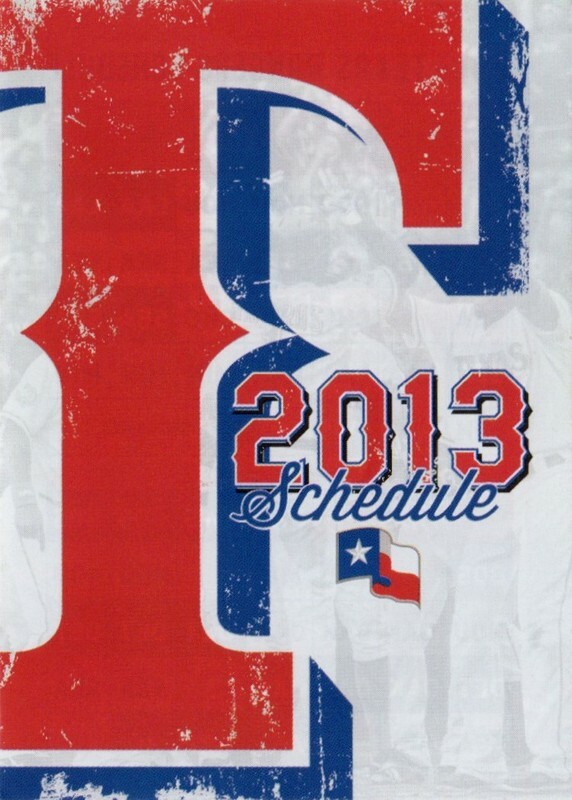 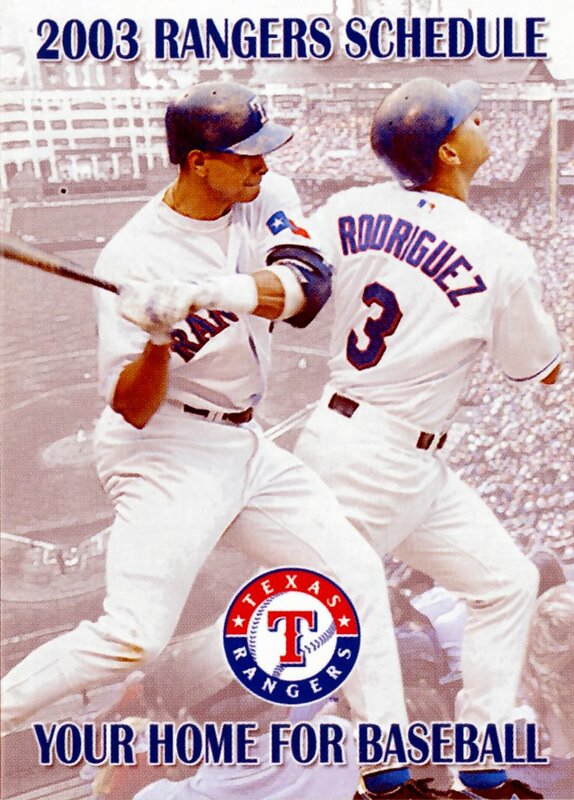 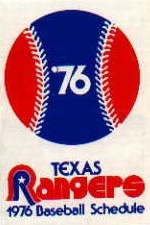 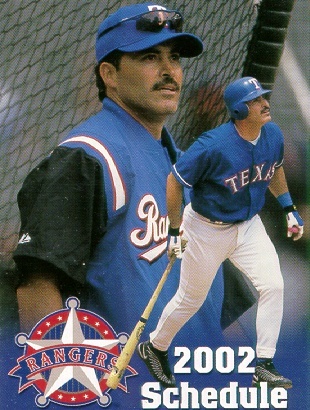 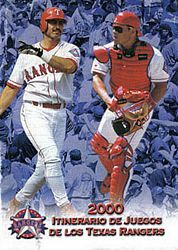 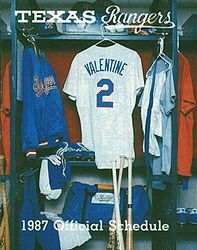 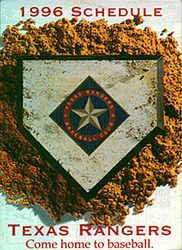 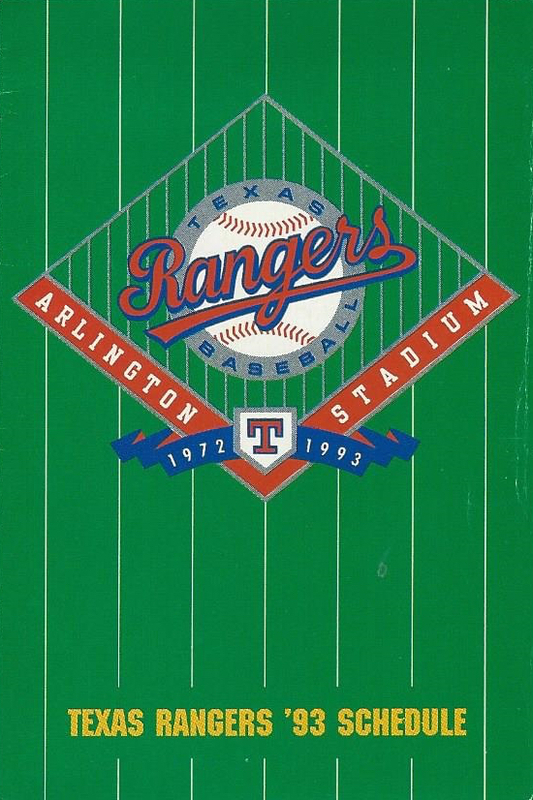 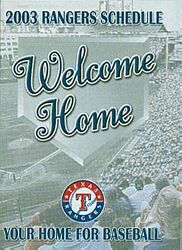 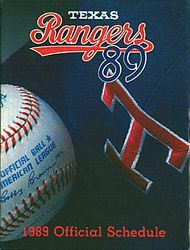 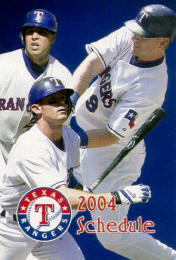 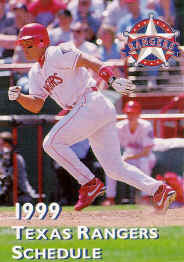 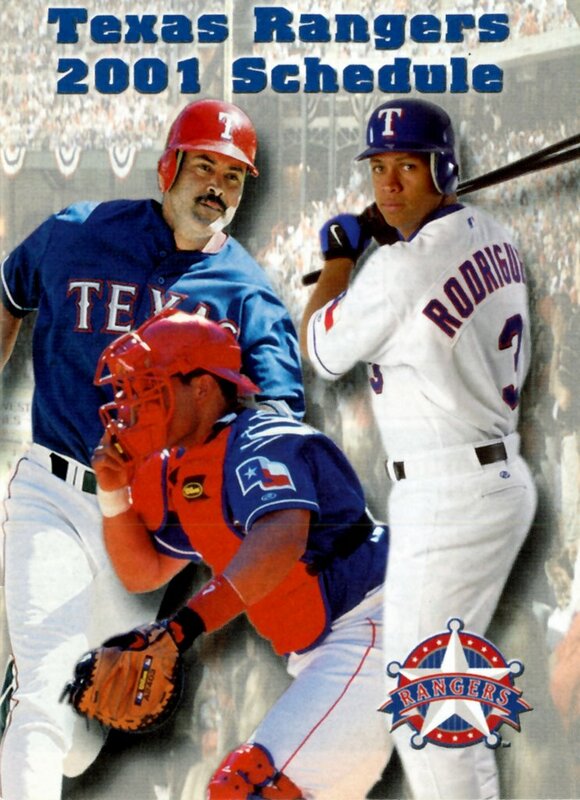 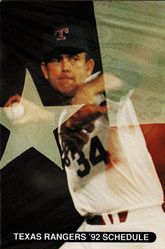 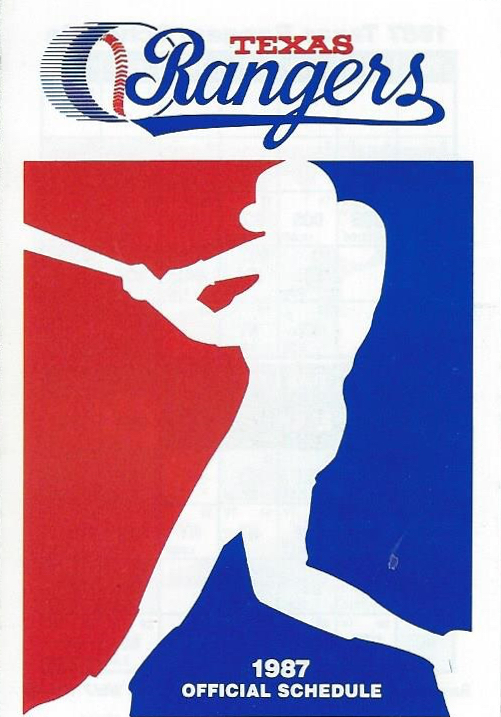 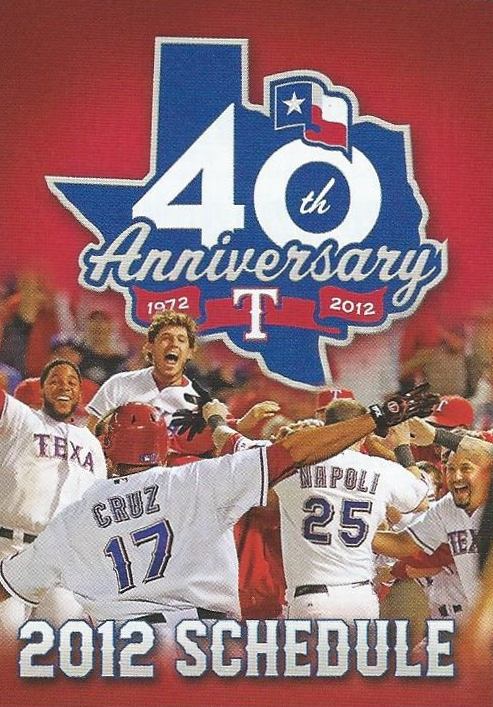 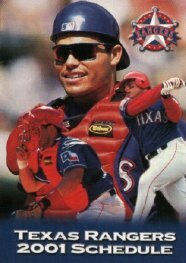 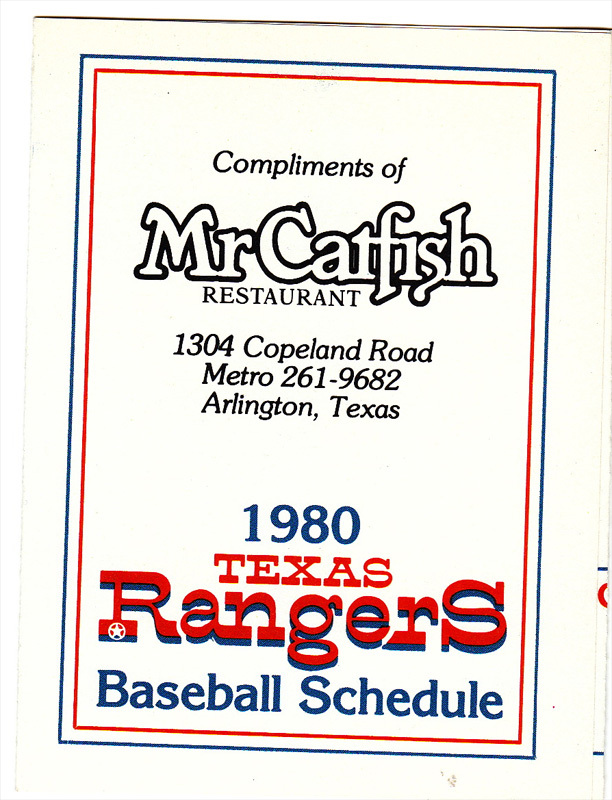 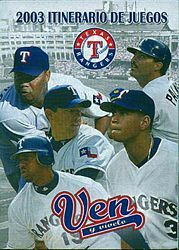 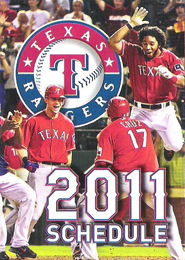 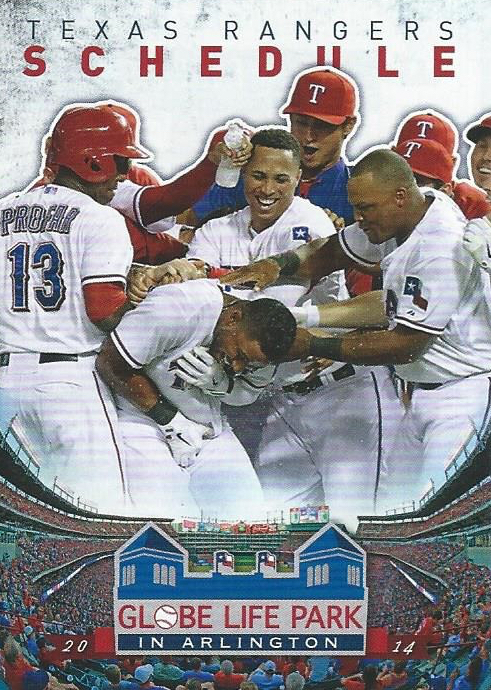 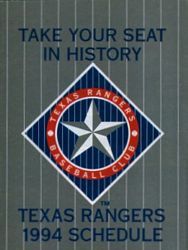 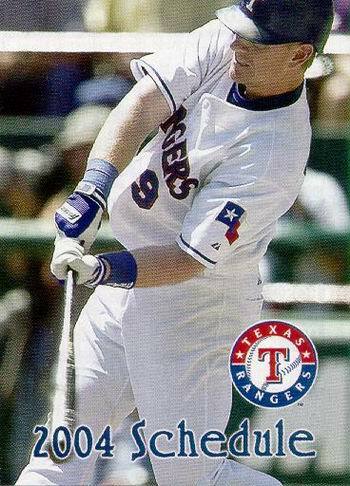 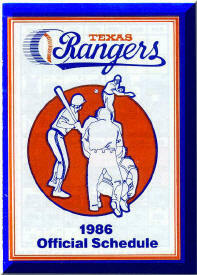 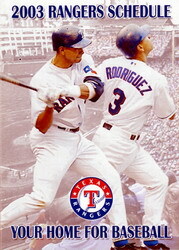 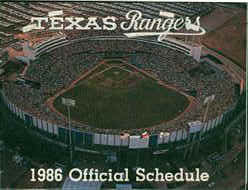 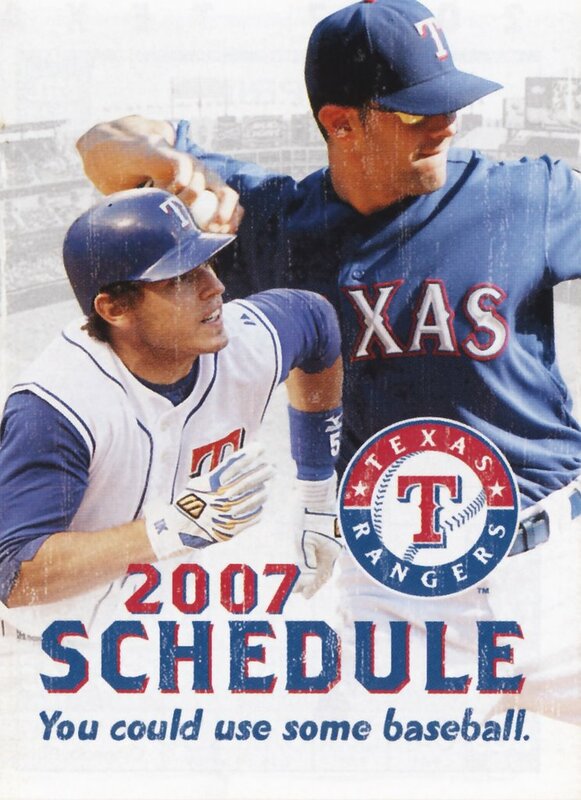 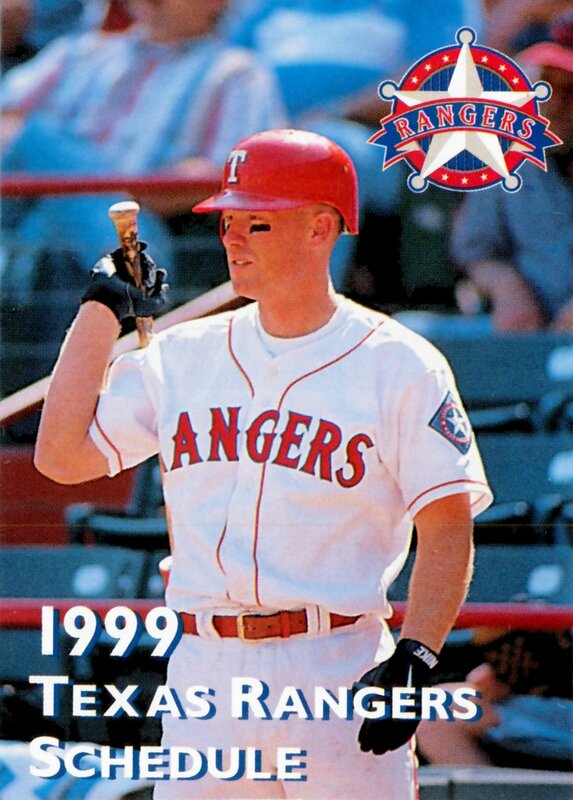 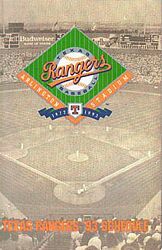 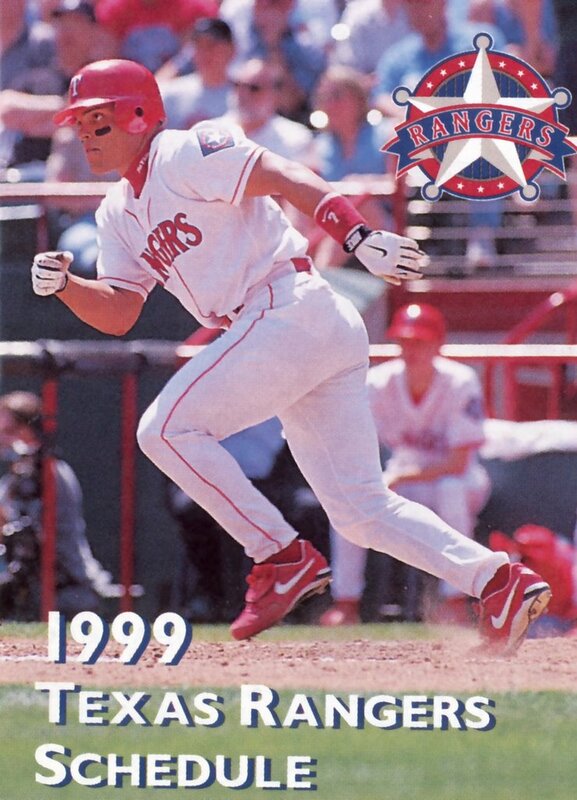 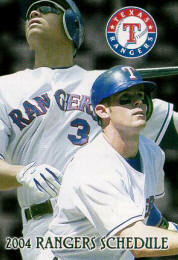 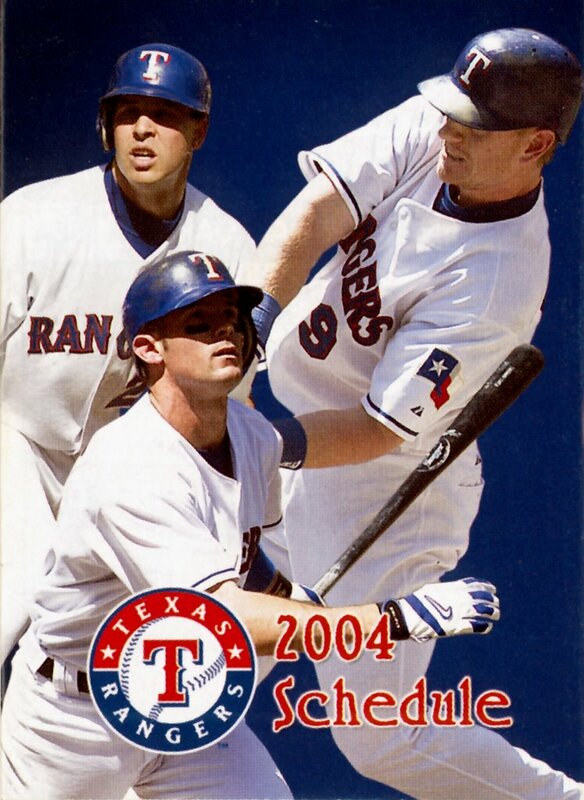 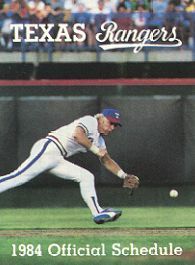 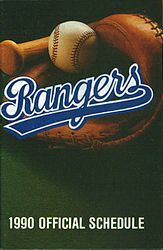 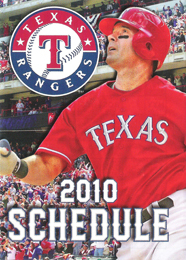 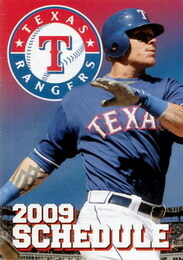 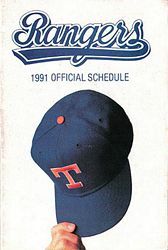 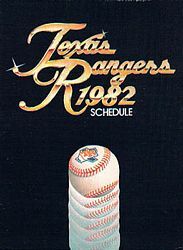 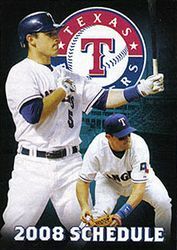 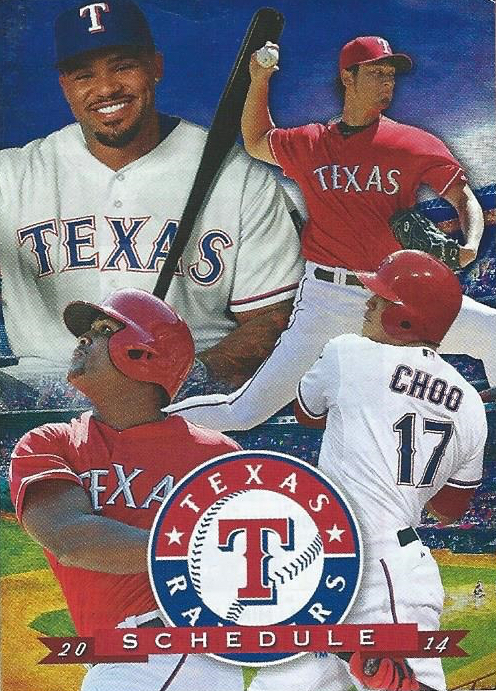 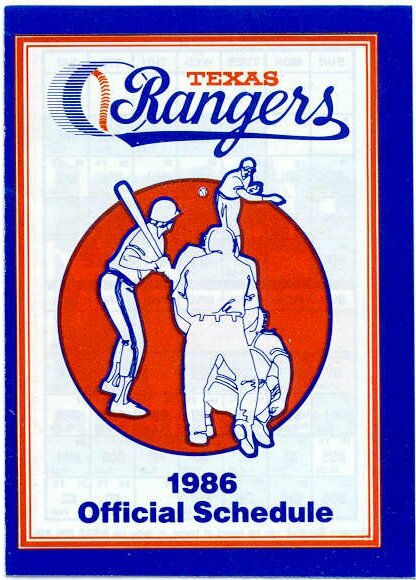 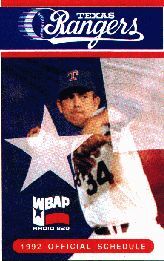 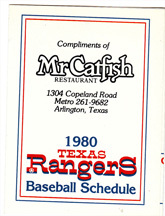 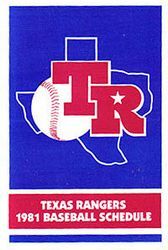 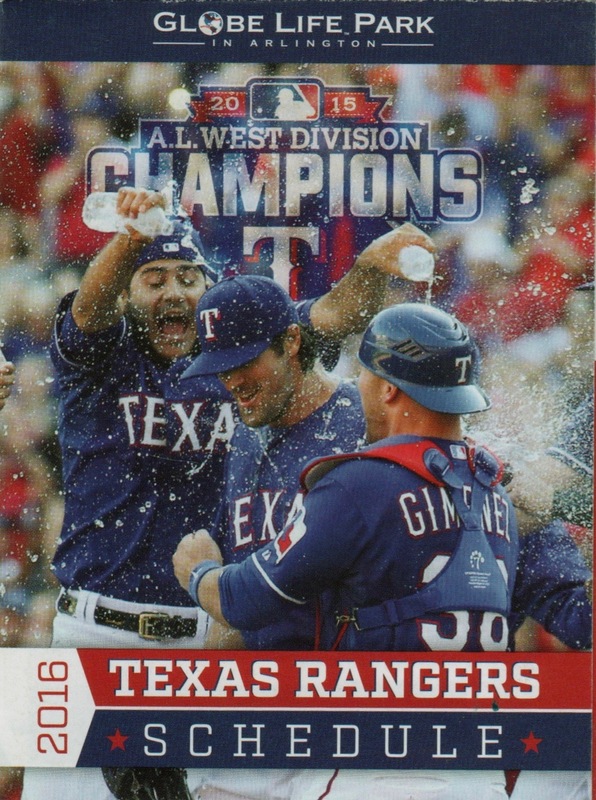 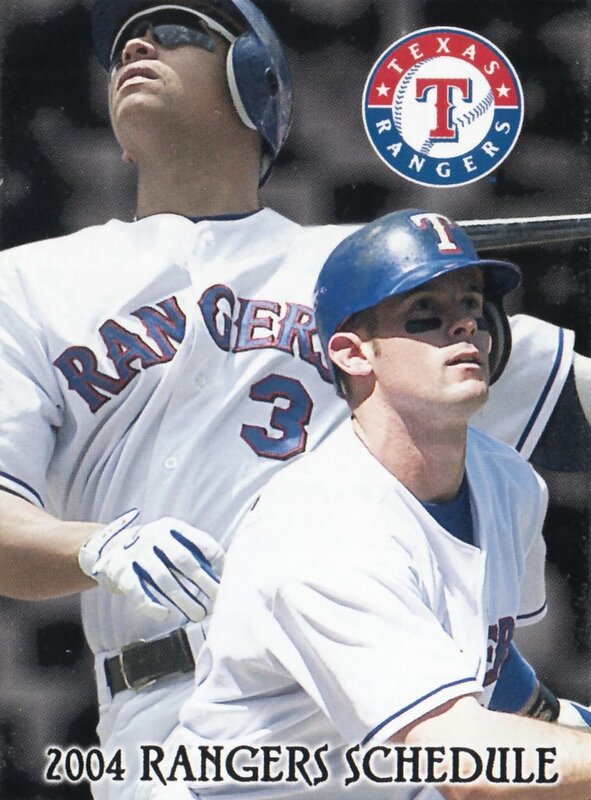 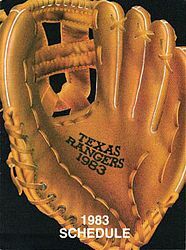 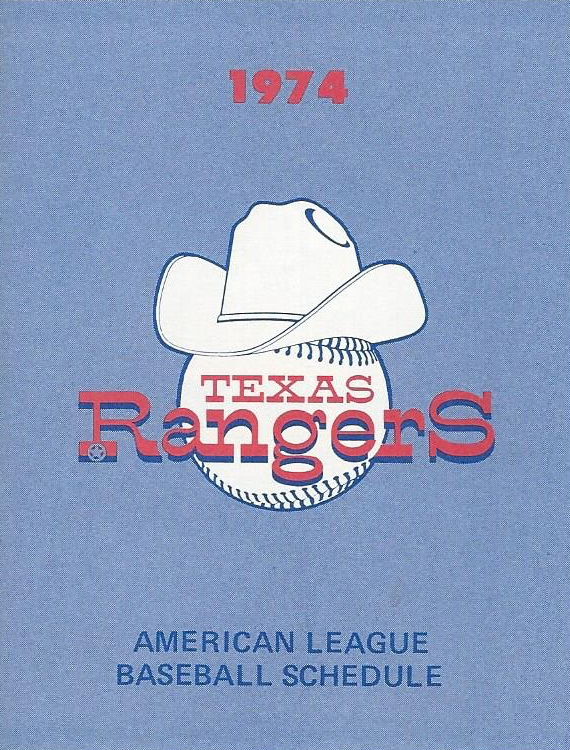 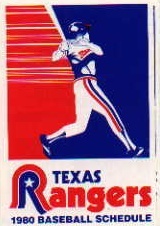 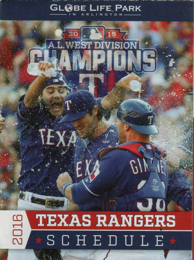 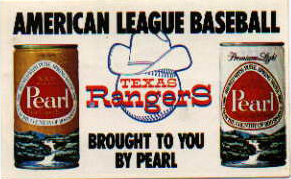 Here are some scans of Texas Rangers Pocket schedules though the years. 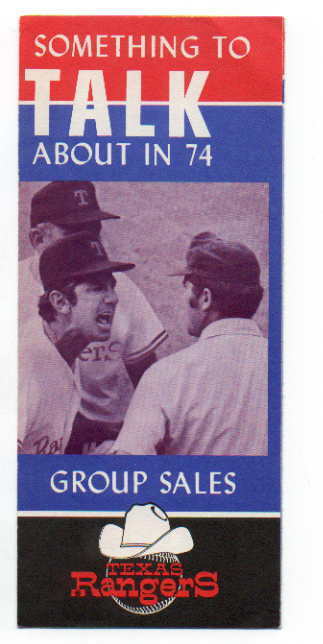 The majority of these are clickable for larger images. 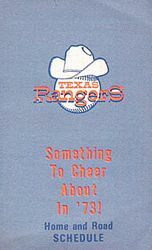 Some of them are not, however. 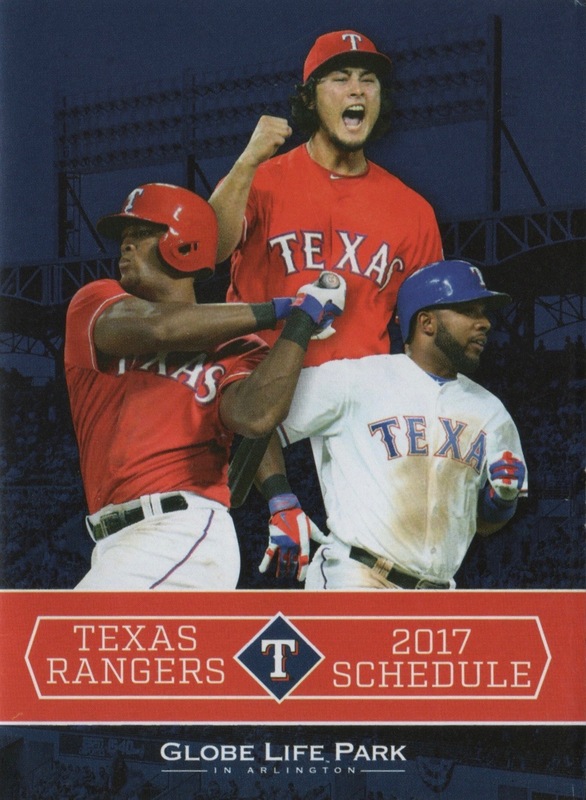 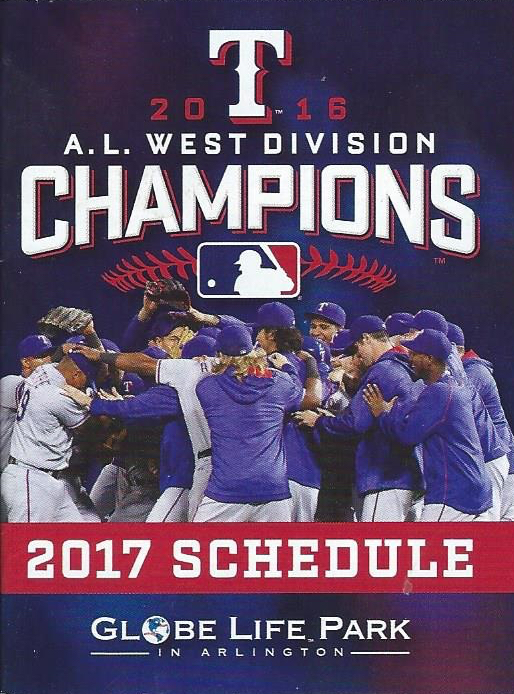 If you have a pocket schedule that I do not have here, or have one in a better/larger quality than I have, please email me. 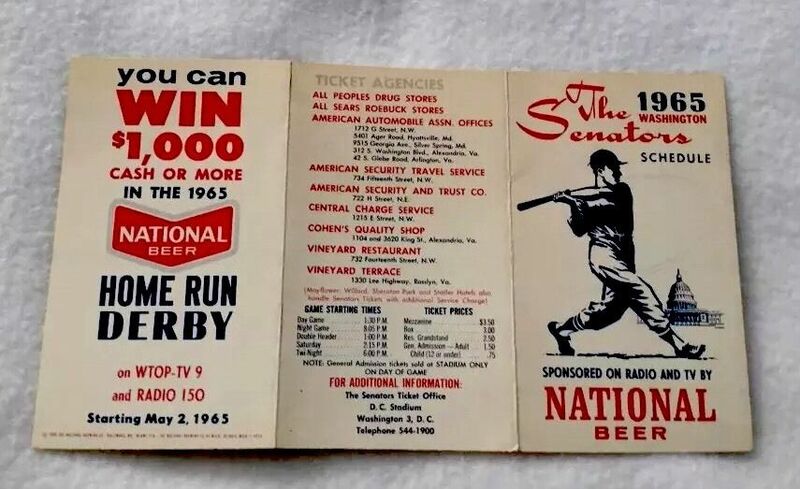 I’m interested in piecing together the complete history. 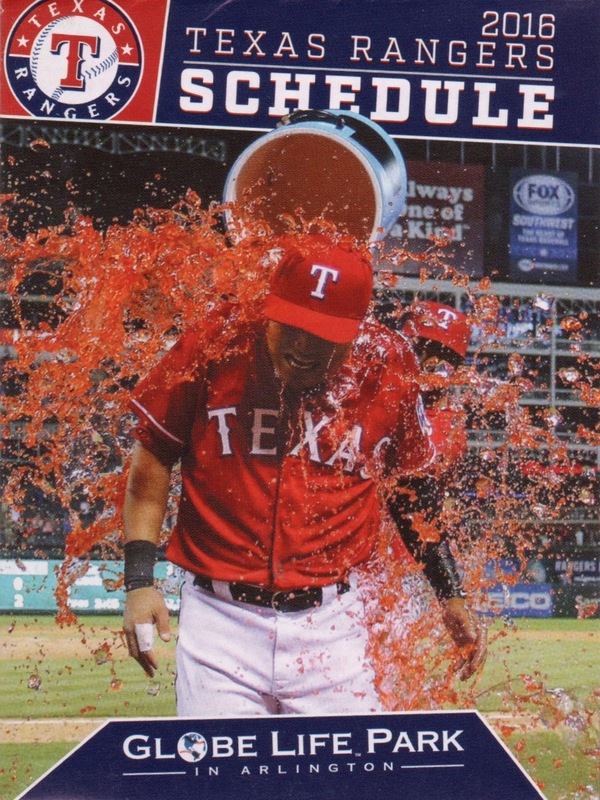 The last one I’m not sure about. 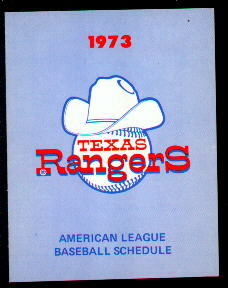 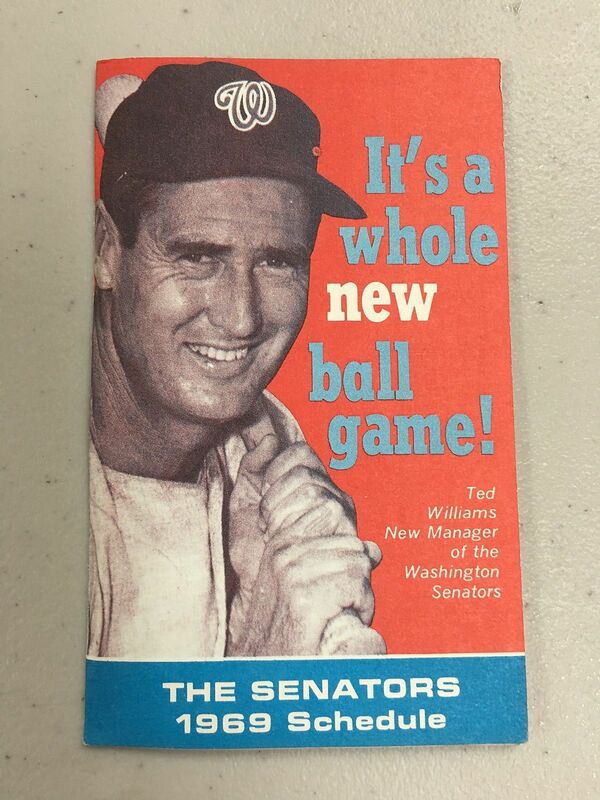 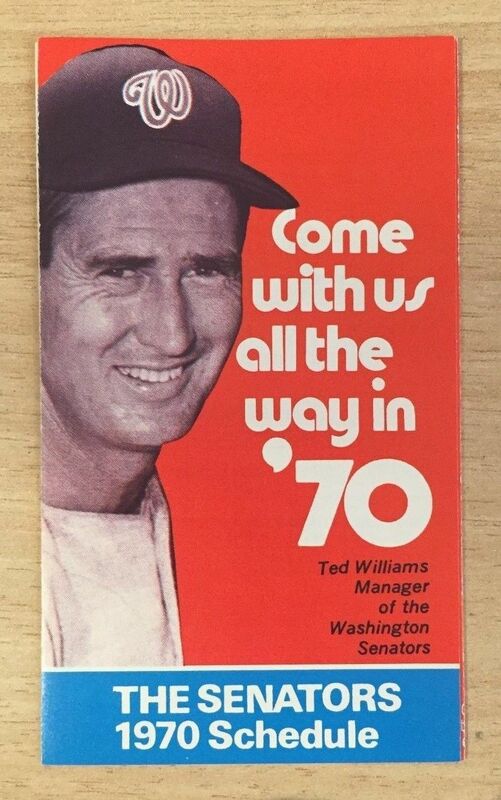 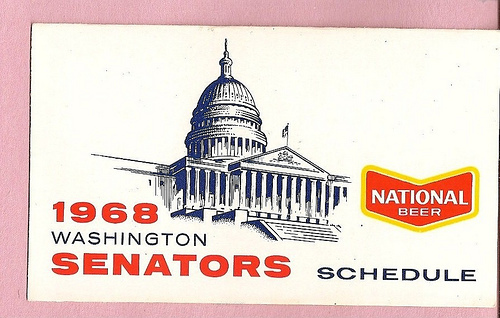 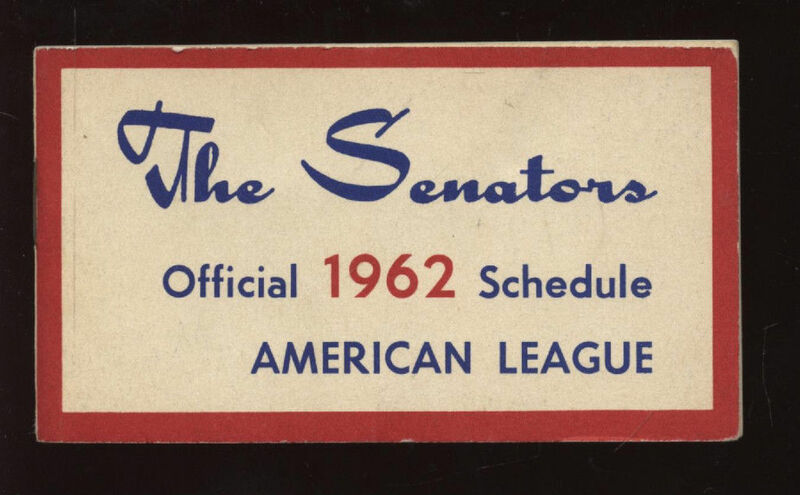 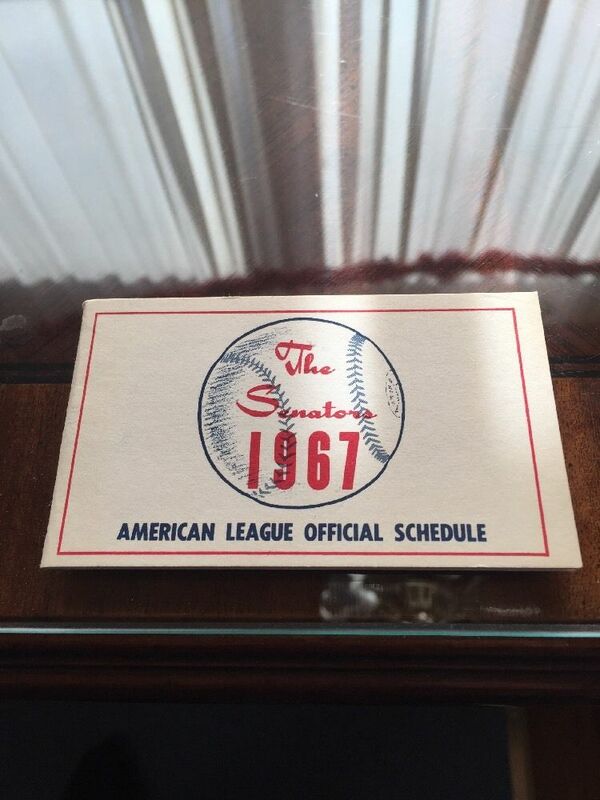 I think it’s the flip side of the 1972 schedule, but I don’t know that for sure. Very nice work. 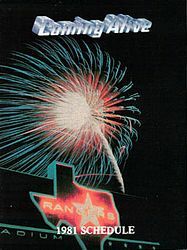 I will be moving to Dallas soon. 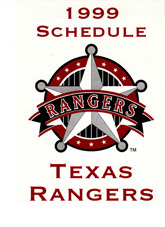 Looking forward to attending Cowboys, Stars, and Rangers games. 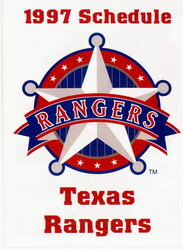 I will collecting pocket skeds from those teams plus the MLS team in Dallas. Can’t remember their name at this sec. 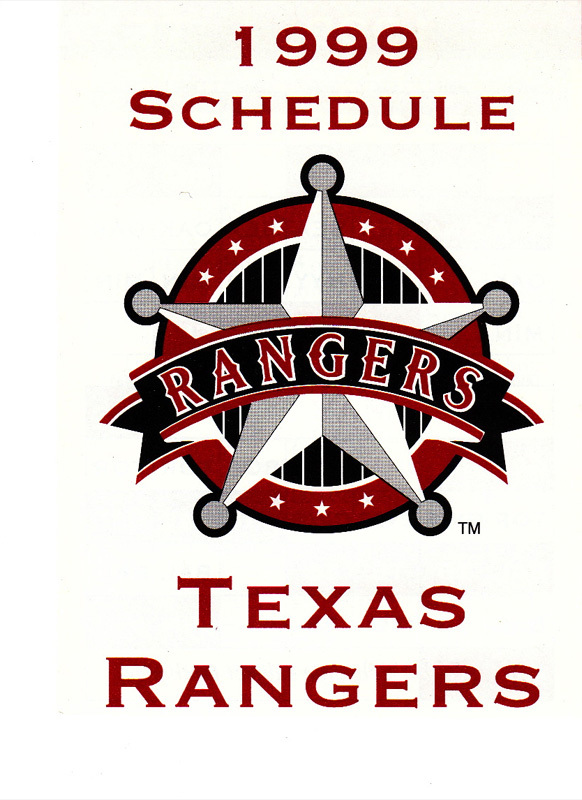 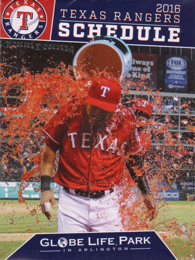 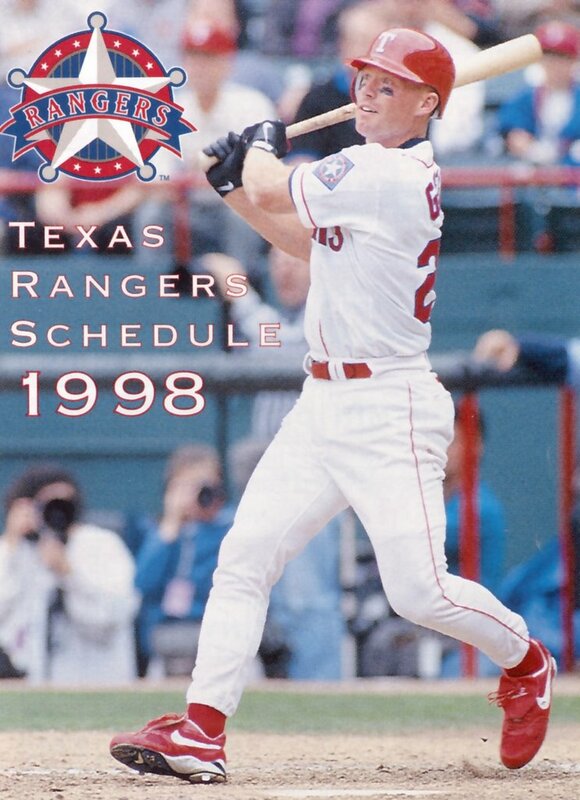 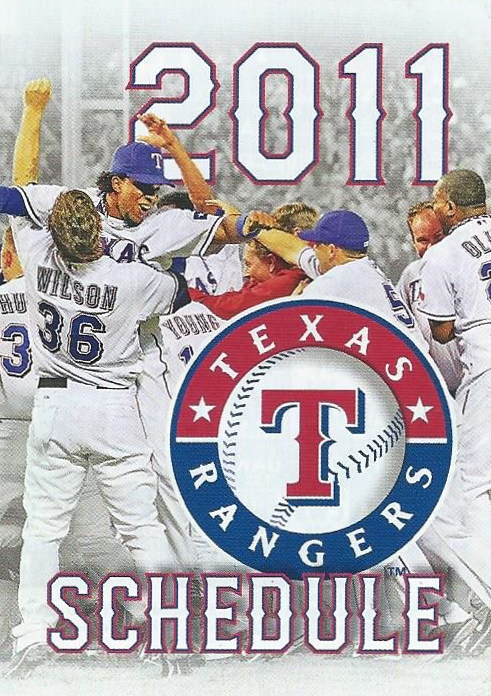 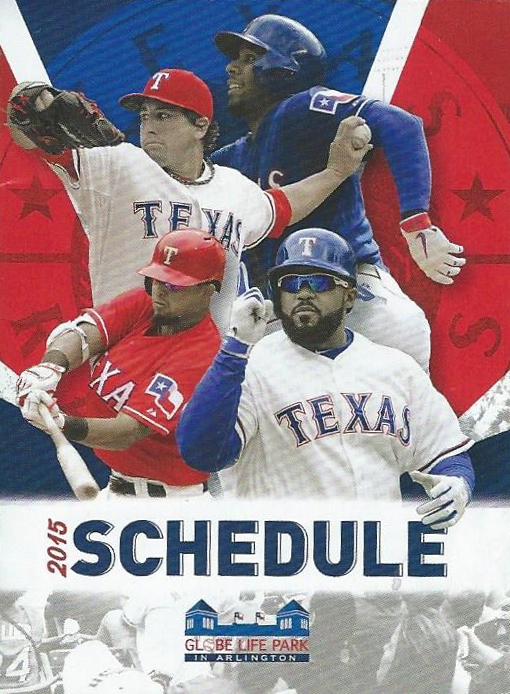 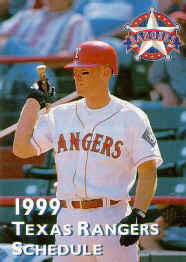 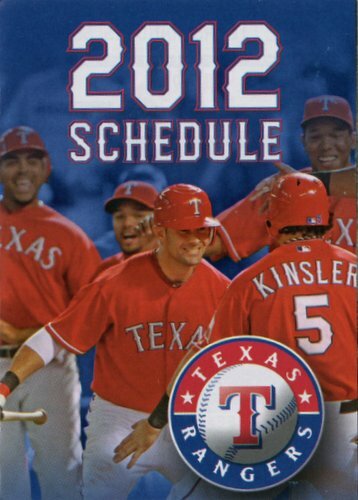 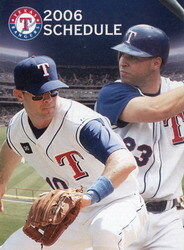 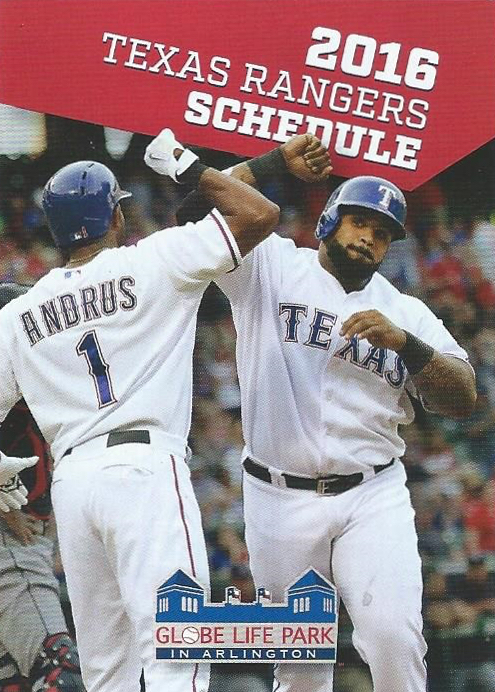 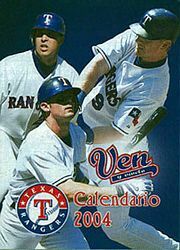 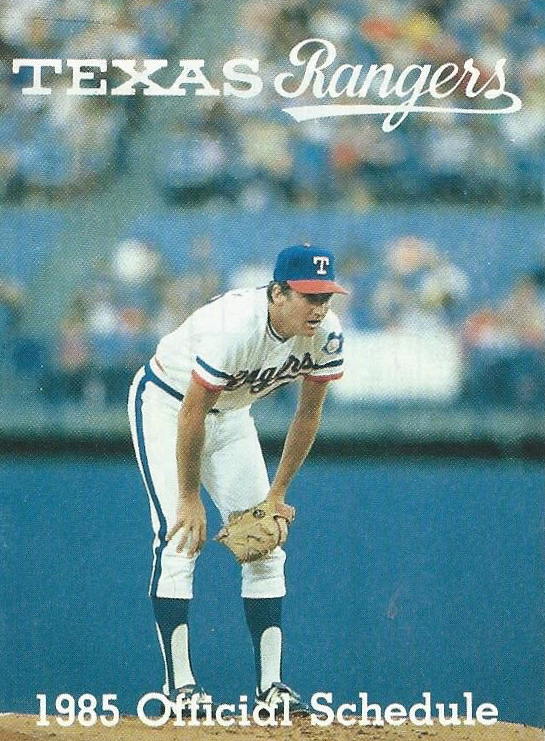 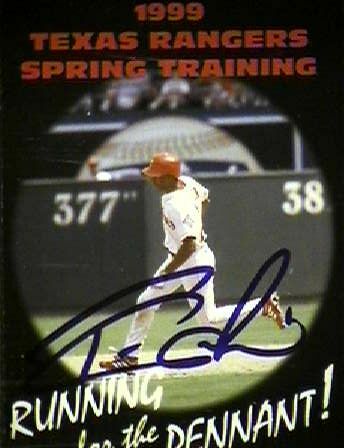 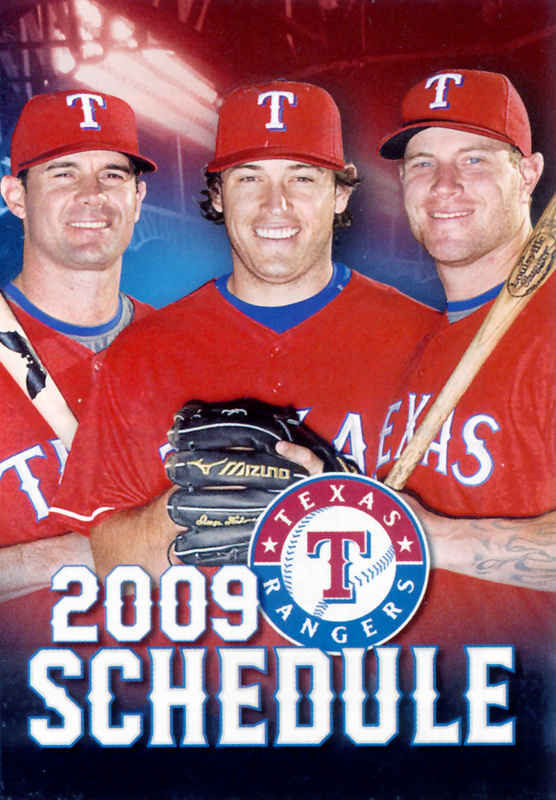 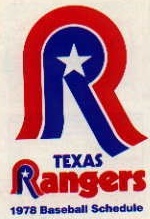 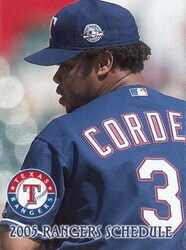 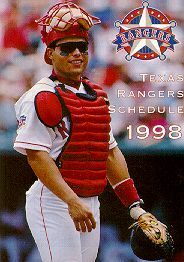 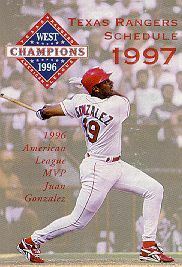 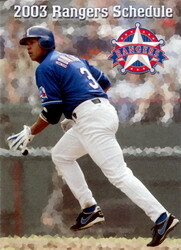 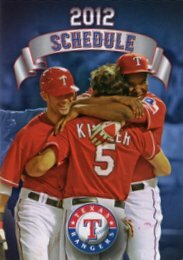 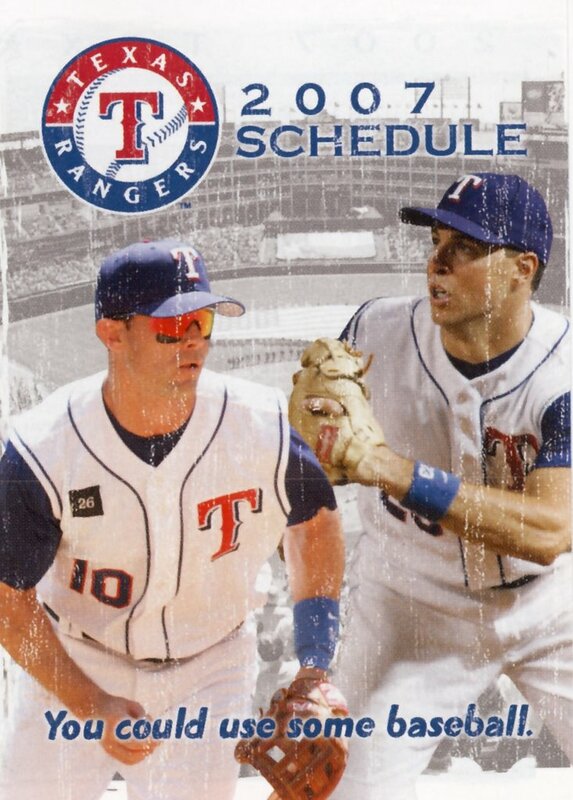 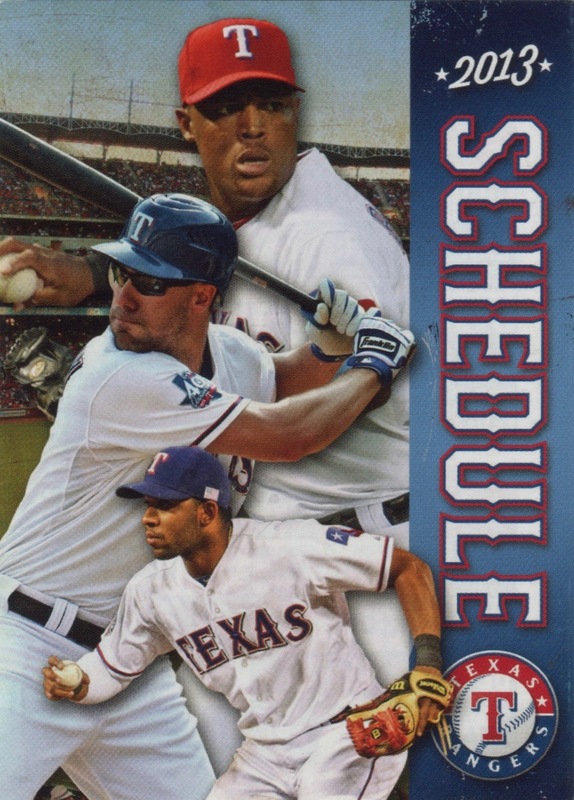 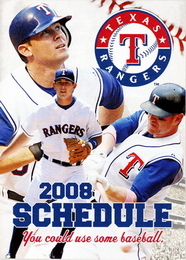 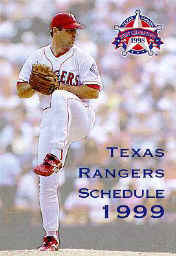 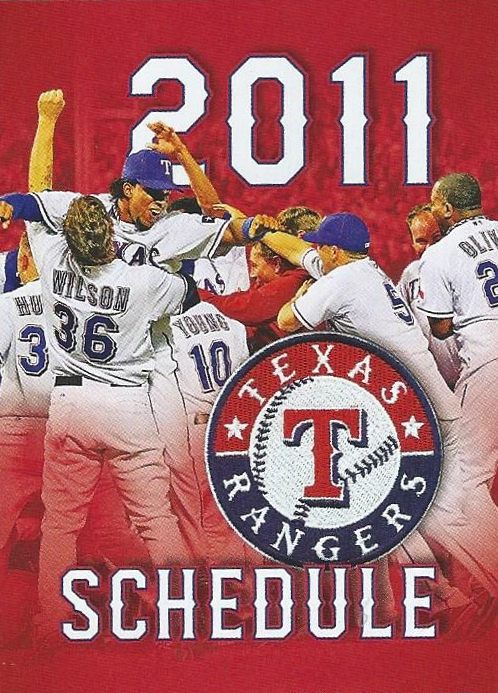 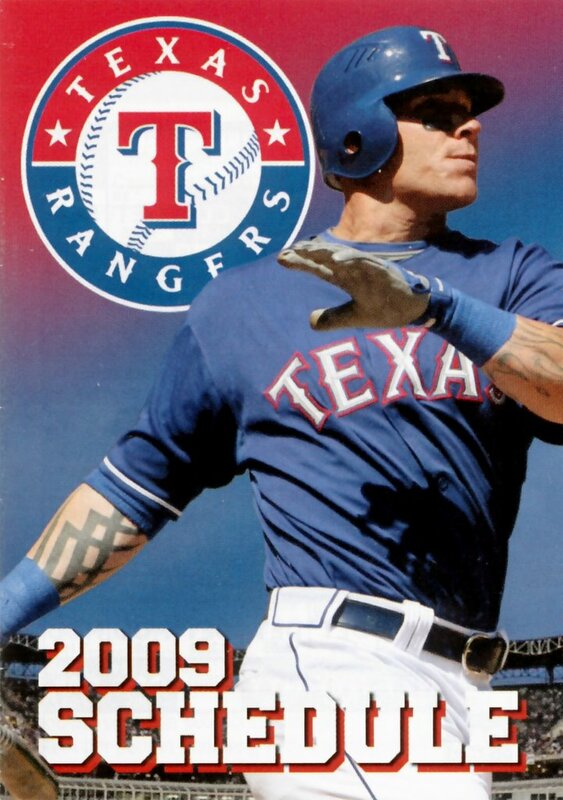 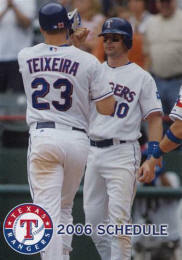 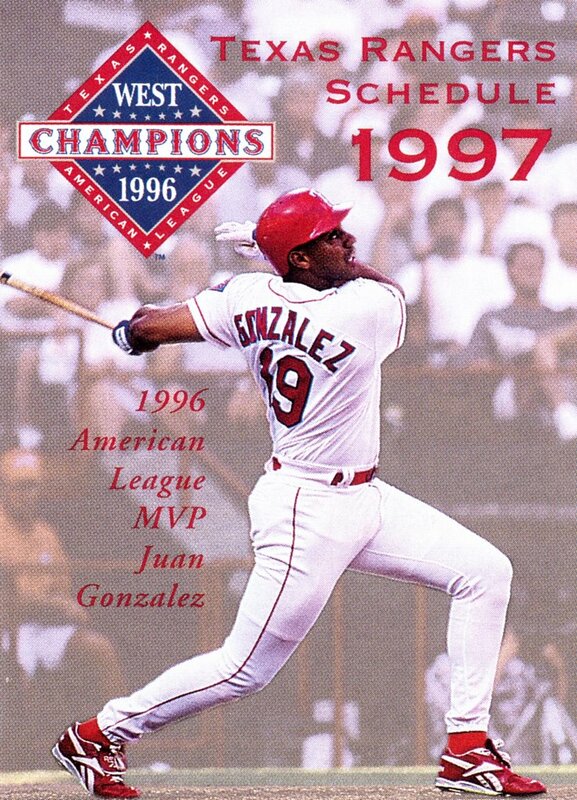 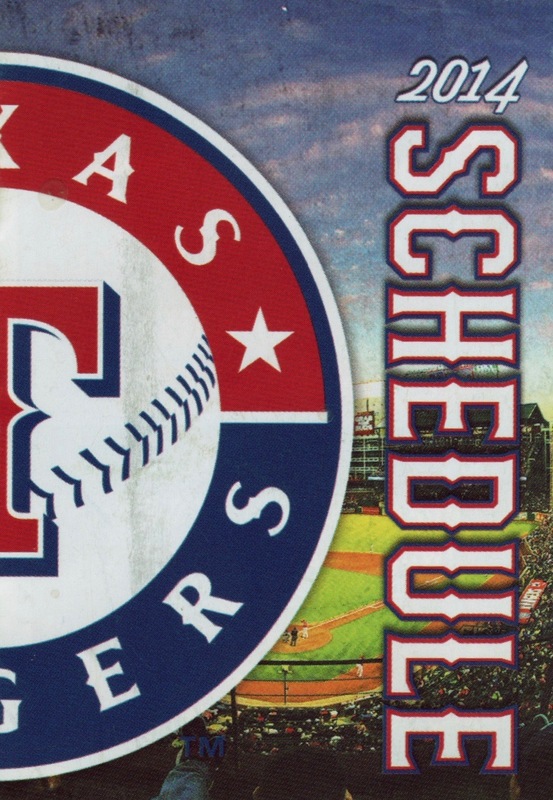 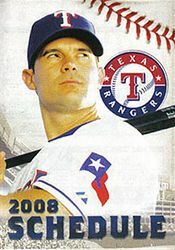 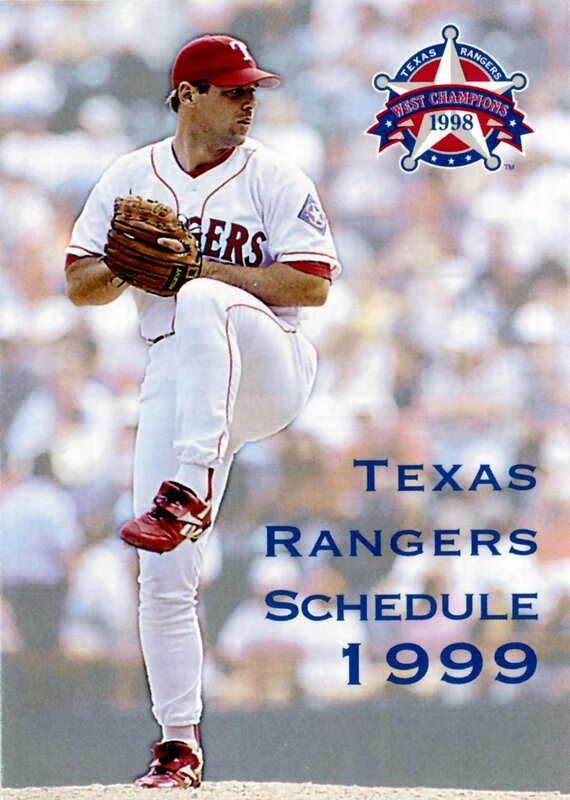 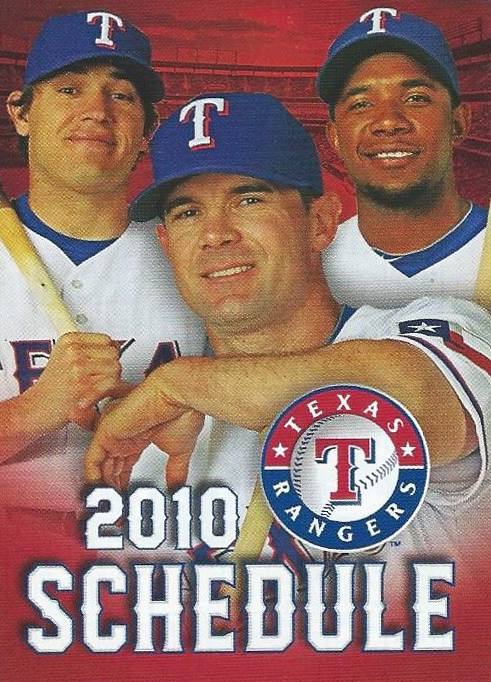 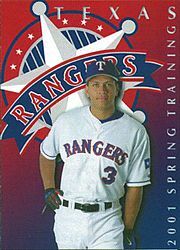 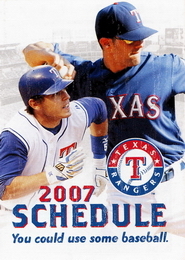 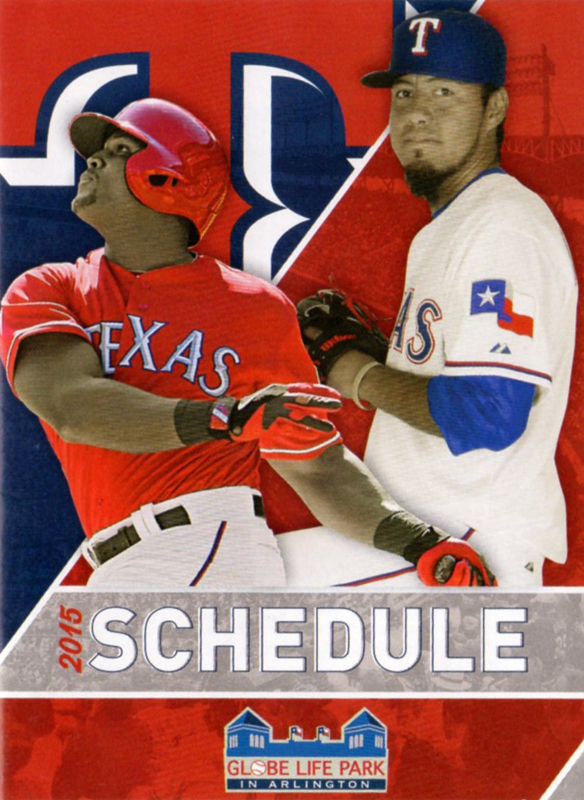 Anyway I will be using your site to reference TX Rangers past schedules. 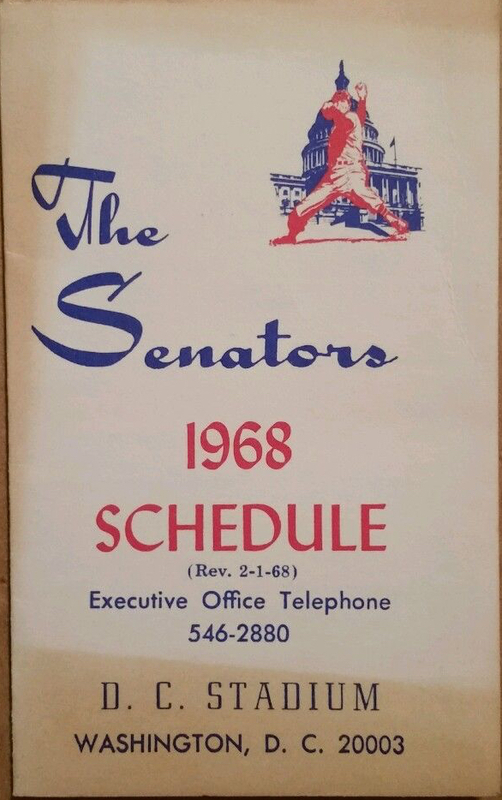 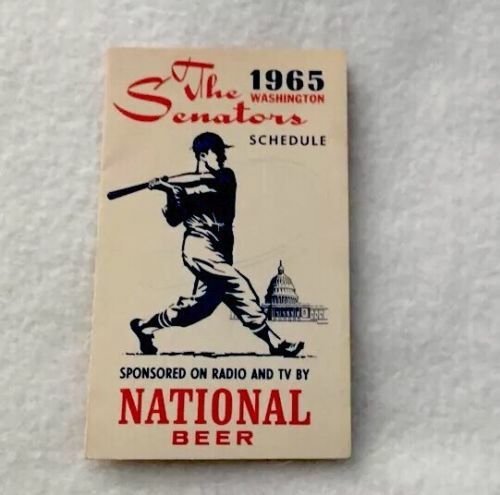 Do you remember a really good pocket schedule site called, “Sked Central” ? 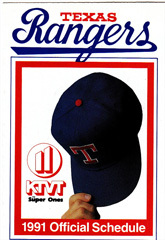 I can’t find it anywhere.